The original goal of Healthy Snack Wednesdays was to create snacks that you could actually bring to work with you, or enjoy on the go. I don’t know about you, but around 10:30am and 2:30 pm, I always need a little something to revive me. A few months back, recipes for baked chickpeas started flying all over the blogosphere, and I thought…wow, I should try that. But then I didn’t. A few weeks later I was searching for ways to make salt and vinegar potato chip seasoning, and came across salt and vinegar chickpeas. It was a sign from God. My time to bake some chickpeas had come! Salt and vinegar chickpeas may have a white skin on some. I wanted to try a regular batch before I dove into the likes of vinegar. So I pulled out my Dave Eats Hot Tabo Salt, some Habanero powder and my new favorite hot pepper sauce and got to mixing! The result was a perfect, crunchy, portable, slightly salty snack! I kept the jar on my desk for those emergency snack breaks, and it did the job for almost 2 weeks! Which not only makes it healthy, but very economical! This snack has nutrition like you can’t believe! 1/2 cup of chickpeas packs 130 calories, 2 grams of fat, 6 grams of fiber and 8 grams of protein!! That’s what I call a power snack! Experiment with seasoning! Curried chickpeas, sure! Cinnamon sugar chickpeas, why not? These can be great in any flavor you create! Mandatory Entry: Head to DaveEats.com, peruse their products, and tell me which flavor seasoning you would most like to try by leaving a comment on this post! Fine Print: Only US residents with a US mailing address may enter. Winner will be chosen using Random.org on Monday, April 25, 2011. All entries must be in by the time of the drawing. Once the winner has been drawn, it is the responsibility of Dave Eats to mail the winner their prize. Prize has no cash value. Bake for 20 more minutes and stir again. Bake for 10 more minutes, checking them every 3 minutes or so. Chickpeas are ready when they are crispy all the way through. Not all of them will get there at the same time. When most of them are crispy through, remove them from the oven and allow them to cool (they taste REALLY good hot, so start snacking!). Once they have cooled completely, place them in an air-tight container. The beans that were not all the way crispy will become crispy after a few days in the jar….if they make it that long! This entry was posted in Recipes and tagged appetizer, baked, chickpeas, Contest, crispy, crunchy, Dave Eats, garbanzos, healthy, recipe, snack, spicy snack, tabasco salt by reneeh. Bookmark the permalink. I have a problem with liking super hot spices.. so I’d take the “hot”. Great giveaway! 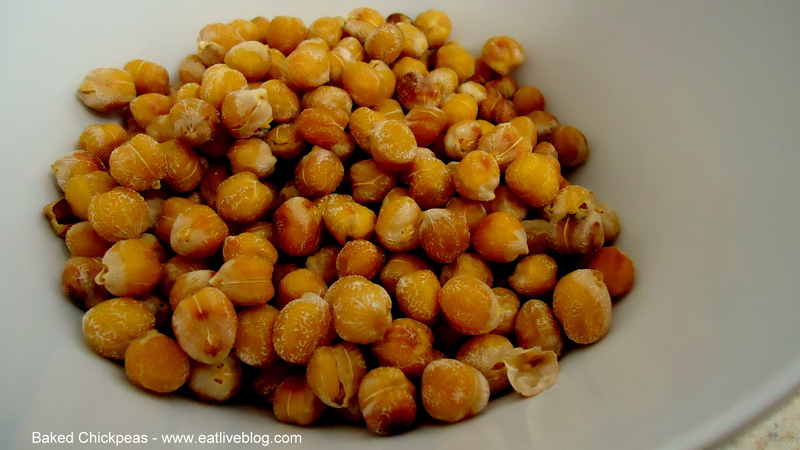 I love chickpeas, and can’t wait to try making this myself! I’d love to try the hot TABO seasoned salt… And I tweeted the contest and started following @DaveEatsDotCom! Chickpeas roasted are a great go-to snack! I love adding hot sauce! Oh my. 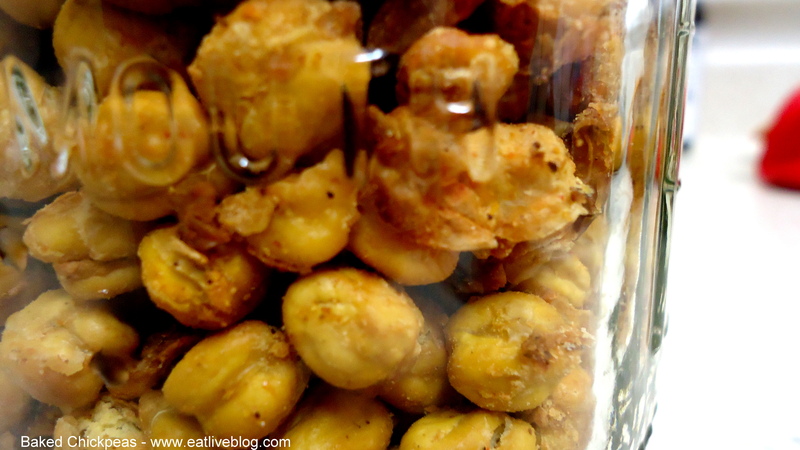 I love roasted chickpeas–great idea to use dried ones. I found the canned chickpeas can get mushy after a day, even when roasted. As for the seasoning I’d like to try–poultry! I’m always looking for new ways to spice up the ol’ chicken breast. Wow these are so cool! I would like to try the poultry seasoning! i’D LIKE TO TRY THE TABO SALT – BF LOVES IT WHEN I CAN GIVE HIM SOMETHING TO ADD A LITTLE KICK TO HIS FOODS! I ALREADY FB LIKE YOU! Crispy chickpeas? Oh.My.God. I want them right now. I LOVE chickpeas.. I don’t know why I never thought to roast them before. i’d love the tabo salt since it’s hot. love hot and spicy things! I am always looking for new way to flavor my chicken. I would like to try the poultry seasoning or Hot Tabo seasoning. The tabo salt sounds like it’d be scrumptious. I’d love to try the Rib Rub and Poultry Seasoning! I still need to try the baked chickpea phenomenon! I have 2 cans of chickpeas that were meant for this! And I like it hot, so I would totally go for the HOT seasoned salt! I think I’d like the Original Tabo Salt the best! I love crispy chickpeas :-). Great information thank you very much! A Gewurtztraminer would go great with these with the push of the hot sauce. Great recipe! I love crispy chickpeas :-). Awesome information thank you for sharing!